Pulwama attack mastermind, 23-year-old Mudasir Khan, was killed in an encounter Sunday. He was also wanted for attack on CRPF camp in Lethpora. New Delhi: The alleged mastermind of the deadly Pulwama attack, 23-year-old Mudasir Ahmed Khan, had played a role in last year’s suicide attack on the Sunjuwan Army Camp in which six personnel and a civilian were killed and was also wanted in connection with the 2017 Lethpora attack on a CRPF camp that claimed the lives of five personnel, ThePrint has learnt. Khan, an electrician with a graduate degree from Pulwama in Kashmir, was killed in an encounter Sunday night but it was only this morning that there was confirmation that it was indeed his body that was recovered. 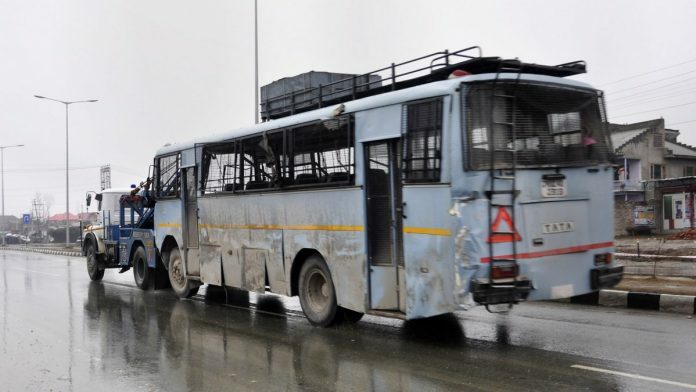 The other terrorist believed to have been killed in the Sunday evening encounter is Sajjad, the owner of the car which was used in the 14 February Pulwama suicide strike, the deadliest attack in the history of Kashmir terrorism that killed 40 CRPF personnel. Sunday’s encounter is a major boost for security forces. Multiple teams had been formed to crack open the case and pin down the perpetrators of the attack, which had led to military escalation between India and Pakistan. Within four days of the attack, top Jaish-e-Mohammed commander and Improvised Explosive Device (IED) expert, Kamran, was shot dead along with two other terrorists. Kamran was identified by many as the mastermind but ThePrint had reported then that the search for the real mastermind was still on. A resident of Mir Mohalla in Tral, Khan, sources said, helped in the procurement of explosives, the vehicle and handled all the logistics of the Pulwama attack. The NIA had carried out searches on Khan’s residence on 27 February in connection with its probe into the attack. The 23-year-old had allegedly worked along with IED expert Kamran in planning and carrying out the attack. It is not yet clear whether Khan was the person who fabricated the IED. Khan had been a known overground worker of the Pakistan-based Jaish-e-Mohammed group since 2017 but had joined the terror ranks in January last year after his alleged handler Noor Mohammed Tantray was killed by the security forces in a December 2017 encounter. Tantray, a three-feet-tall militant, had become a menace for security forces after he jumped parole and rejoined terror ranks. He is credited with reviving the JeM’s foothold in the Valley and was able to recruit many into the terror fold besides planning and carrying out an audacious attack on the BSF camp next to the Srinagar airport in 2017.